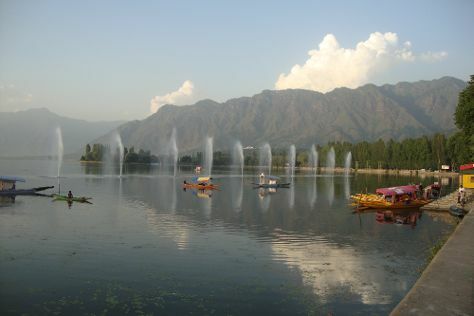 Srinagar is known for nature, parks, historic sites, scenic drive, and shopping. Your plan includes some of its best attractions: take in nature's colorful creations at Indira Gandhi Tulip Garden, make a trip to Shankaracharya Hill, contemplate the waterfront views at Dal Lake, and take in the spiritual surroundings of Hazratbal. For where to stay, more things to do, ratings, and more tourist information, you can read our Srinagar online driving holiday planner . In February, daytime highs in Srinagar are 11°C, while nighttime lows are 3°C. Wrap up your sightseeing on the 19th (Tue) to allow time to travel back home.